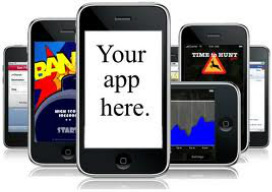 Our goal at MobileMezzanine is to help start up businesses develop mobile applications in order to reach out to potential customers in the growing mobile community. As an app development company, we service businesses by planning and creating a mobile application tailored to each company's needs. We strive to create a unique mobile experience that customers will not only appreciate, but remember. We understand that the most important goal of a start up business is to publicize their services and locate potential customers. What better way to build a following than with a personalized mobile app?